Happy Friday lovelies! We hope that you’ve had a super week, and are all set for the weekend?! 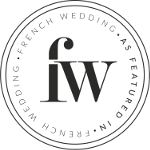 If your weekend includes getting married, then boy, could today’s post be timed any more perfectly, as we’re talking about wedding day preparation with resident expert Carey Hawkins. Usually Carey provides advice on Bridal hair and make up to French Wedding Style readers in the Study, but today Carey is donning her other hat, which is that of a yoga teacher, and she’s sharing with us a short 15 minute practice to help any stressed out bride, groom (or anyone else who needs to take some time for themselves). The couple of days before a wedding are hectic especially if you are having your wedding in France. After all the travel, then catching up with everyone and getting yourself ready it can send you in to a bit of a tail spin. Taking 10 minutes out for you to do some gentle yoga (breathing and stretching) will give your brain the calm in needs to focus on all the tasks ahead and feel relaxed for the big day. 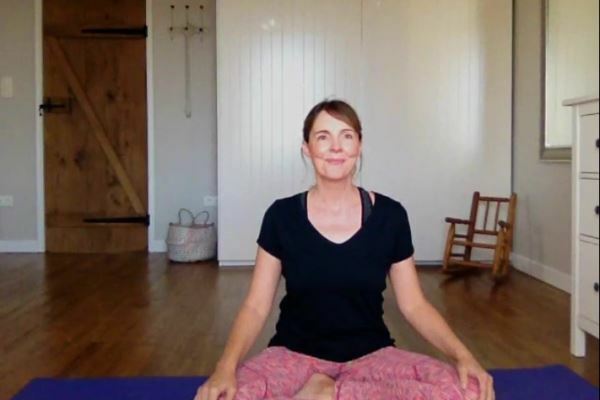 This yoga video is for anyone (even if you have never done yoga before) and does not involve getting yourself in any odd shapes!